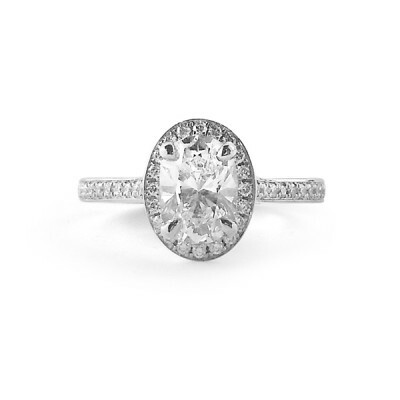 Oval diamonds are classic, and this one is beautifully encased in a halo of brilliant white diamonds. 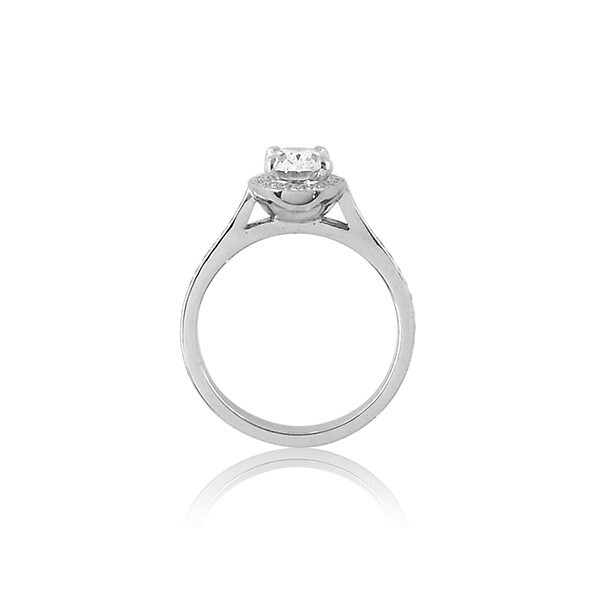 It's a great design in both white gold and platinum. 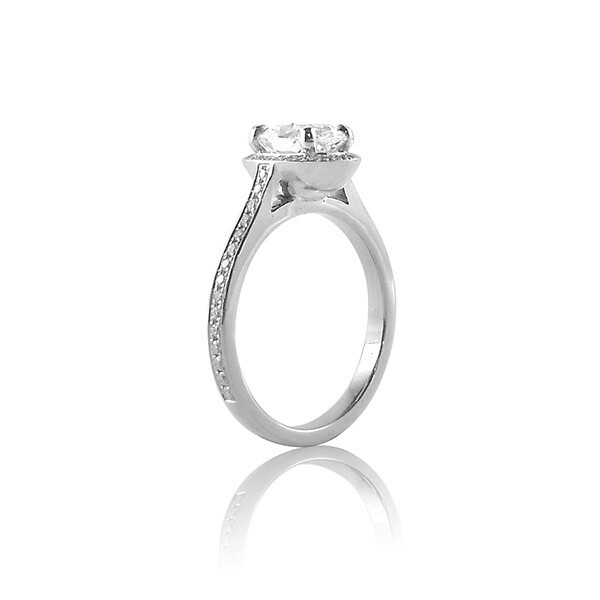 There are other pictures of this ring style available in yellow gold and in rose gold.